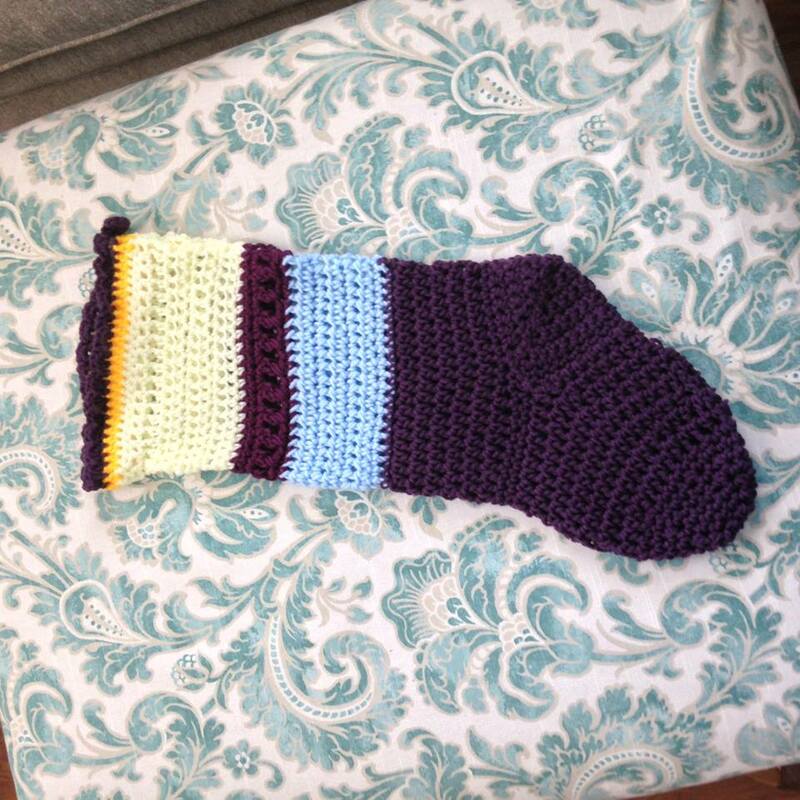 Who says Christmas has to be red and green? 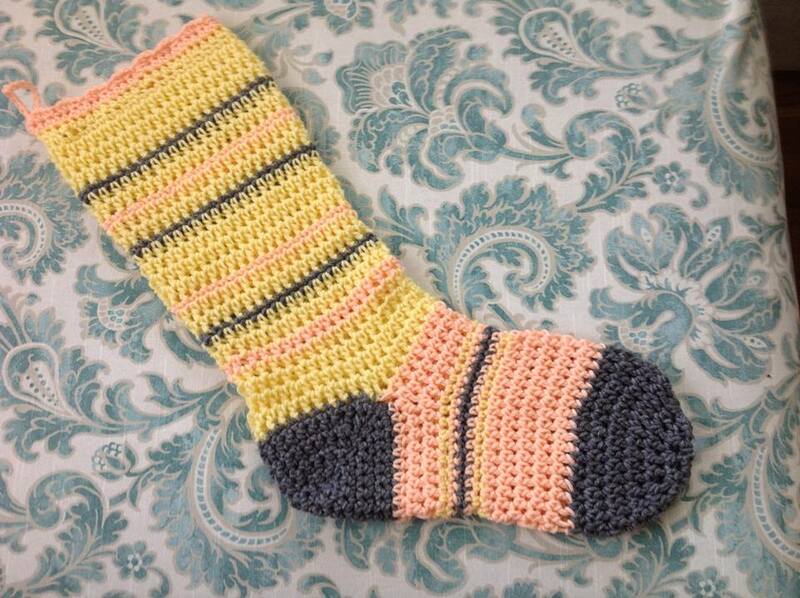 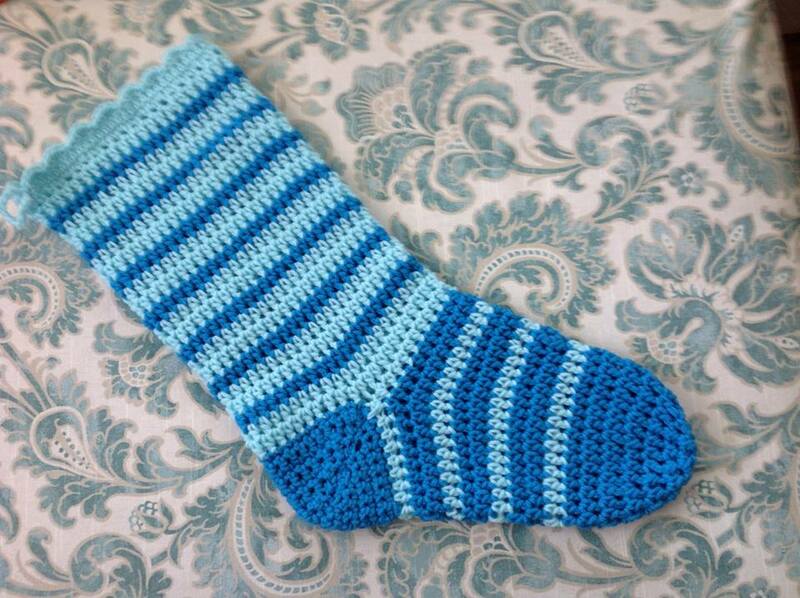 I’ve made dozens of these stockings, in as many different colors, stripes and blocks as you can imagine. In fact, last year, I made twenty of them for Shop With A Cop in Long Beach, Washington. It was incredibly gratifying to make stockings for tweens that had never had a stocking before. 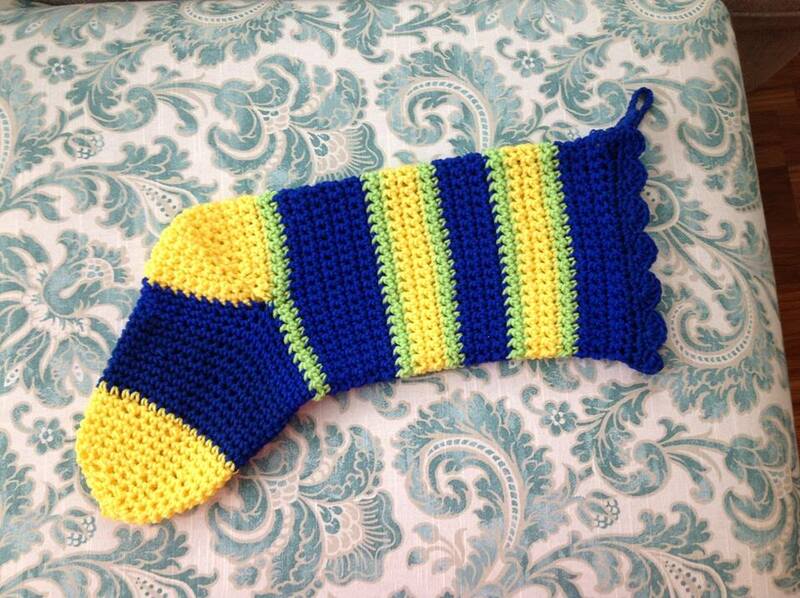 Let me know your color choices, and if you have any preferences about stripes, solids, etc. 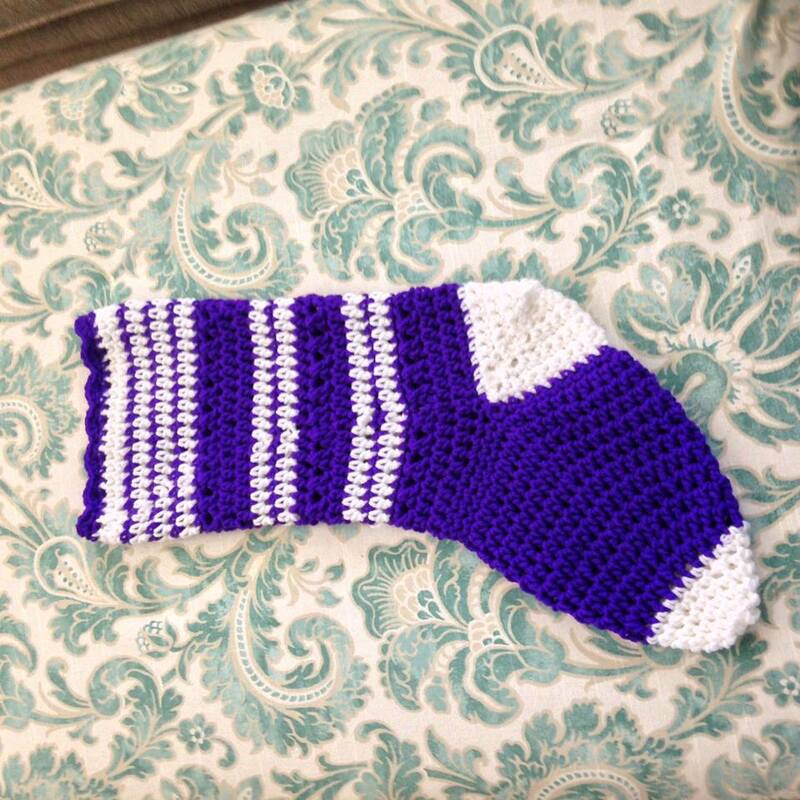 in the comments during check out, or contact me. 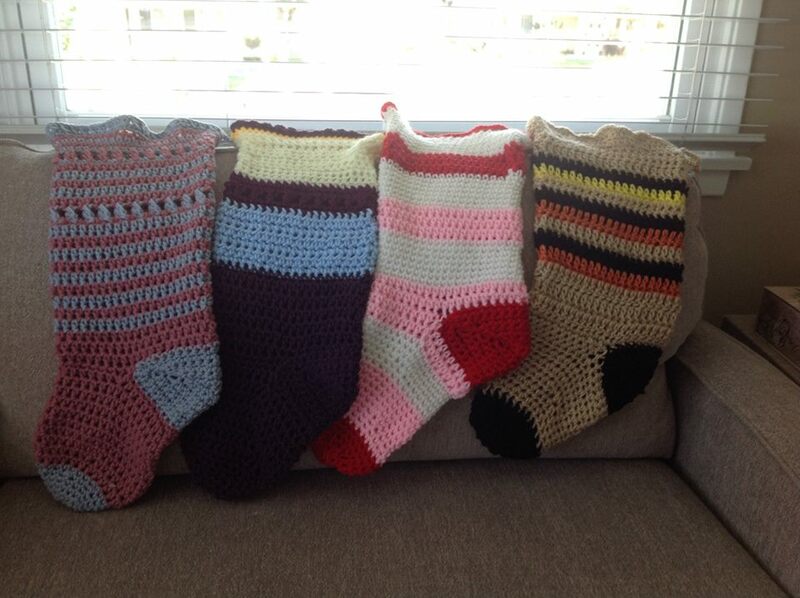 100% of Crocheted Christmas Stocking sales benefit South Pacific County Humane Society. 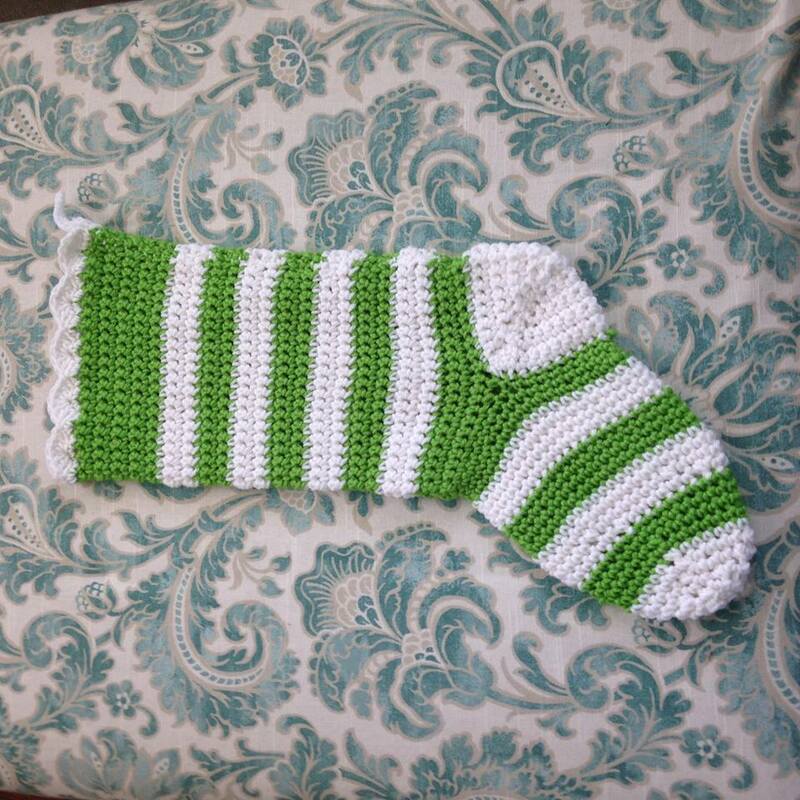 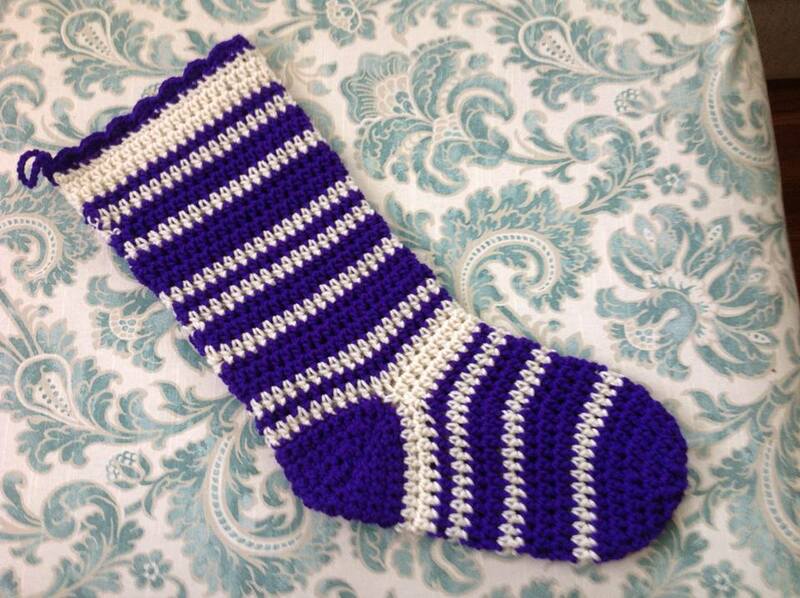 Crocheted Christmas Stockings for Shop With A Cop are a pet project that benefits at-risk youth. 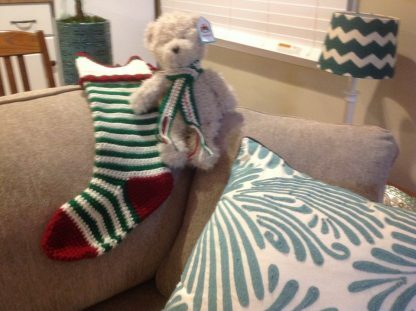 Held the first Saturday in December, Shop With A Cop fosters positive relationships between youth and law enforcement. 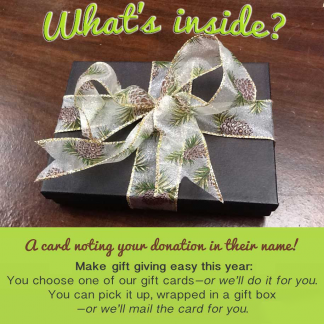 Elementary students are selected each year by school principals. 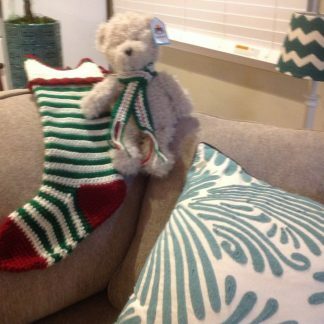 These students are given the opportunity to purchase holiday gifts for themselves and their family members and to spend quality time with law enforcement officers “up close and personal” in a positive and non-confrontational environment. The effects of the program are multi-faceted with the key benefit being development of better and more trusting relationships between law enforcement and the community. 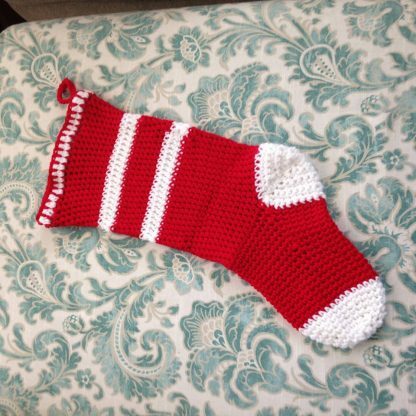 Do you need a custom crocheted Christmas stocking for someone in your life? Orders placed before August 15, 2016 will have a FREE dishcloth included (minimum order of $25). 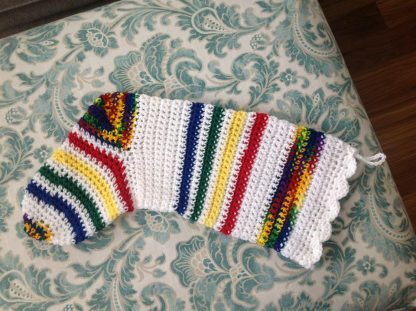 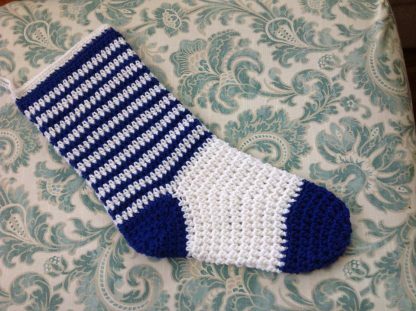 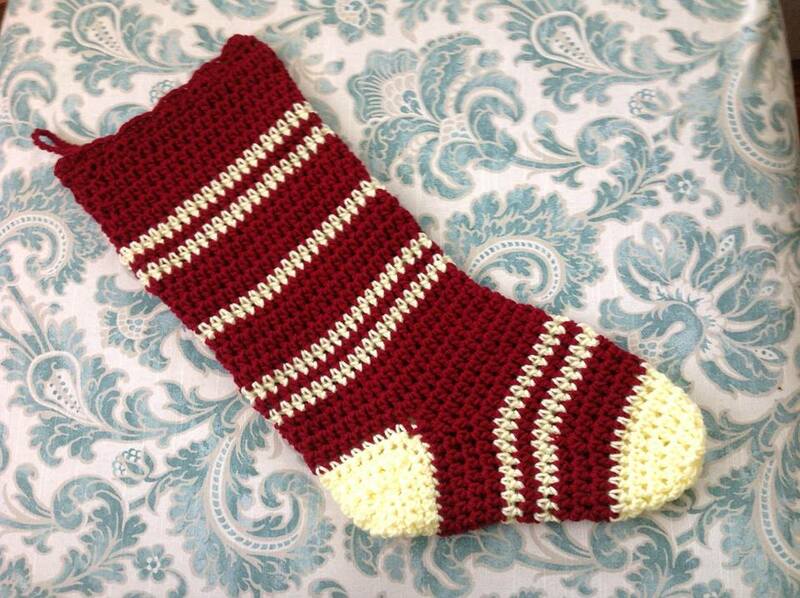 The Crocheted Christmas Stocking can be made in different sizes. The standard version is approximately 24″ long, with heel to toe at 11″ and width of 8″. 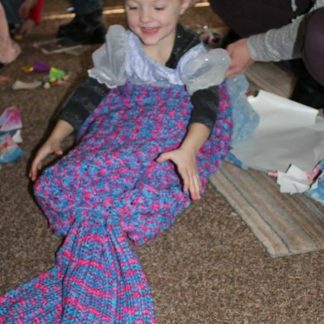 The Crocheted Mermaid Blanket takes about 3-4 weeks on average (depending on other crochet orders at the time of purchase). 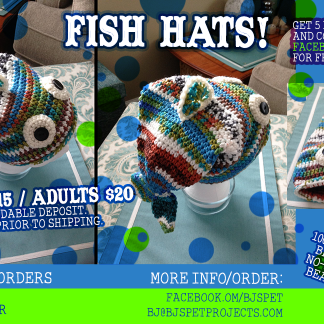 If you have a specific deadline, be sure to let BJ know. She’ll work with you to be sure delivery happens on schedule.